The Rout family, Bijay, Geeta, Diksha (Grade 8) and Shrey (Grade 1), have been at WISS for three years. We interviewed them about life here in Shanghai and their time with us at WISS. It has been three years since we moved to Shanghai, and, all these years we have enjoyed being apart of the wonderful WISS community. 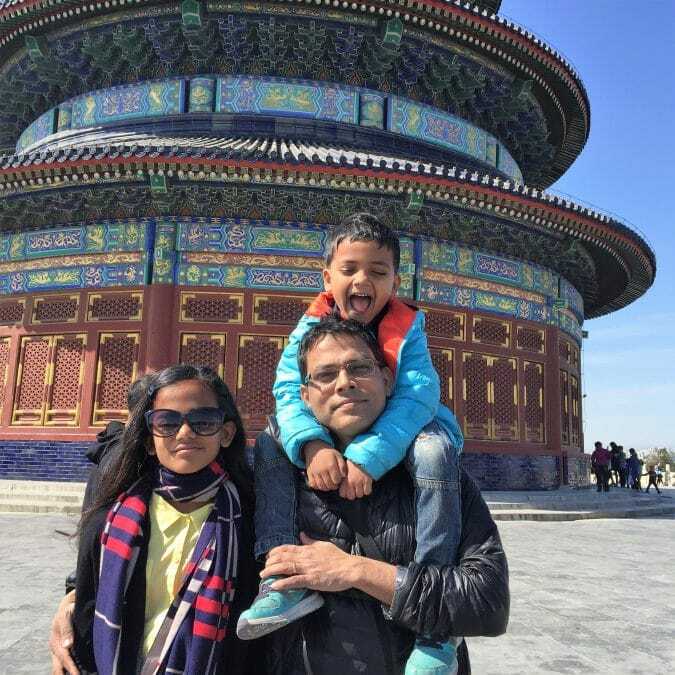 We are probably the first kind of family who moved to Shanghai from India without deciding which school to go, which part of the city to live, and what would be our preferred way of living. The beginning was a struggle. We applied to a number of schools, and after a series of written test to qualify, the bad news followed, “We could not manage to get a seat for your child. We are full”. WISS was the only school that made us realize that we had not come to a wrong city; the admission staff at WISS were extremely cordial and welcoming. A few minutes of talking over the phone made us decide to choose WISS-and then the journey began. As time passes, slowly, we forgot that we are away from India in our first ever assignment abroad. We all are born in India and holding Indian passports and we always feel at home in India. But we started connecting to China mostly to Shanghai and WISS. After a few weeks of break, we miss everything about Shanghai and mostly the connection with WISS. No other school than WISS would have done justice to our requirement and the criteria we were looking at in a school to build our children’s future. Bijay & Geeta: WISS was just so much apt for us and we started liking many things about WISS. The vibrant international community, the IB way of learning most importantly the happiness and the feeling of belongingness it gave to my children and us. Diksha: I get to understand the teacher-student relation better while in WISS- it completely changed my perception of education as compared to in India. I feel the days I spent in WISS will be mostly unforgettable in my life in terms of learning. I get better and better as a person as I grow with WISS. Shrey: I like my teachers my friends and the activities I do at school. I love the playtime with friends and also love the food served to us. 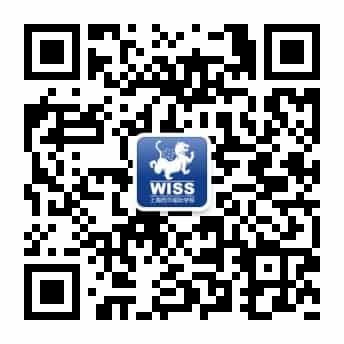 I love everything about WISS; I want to study in WISS till I finish my high school. 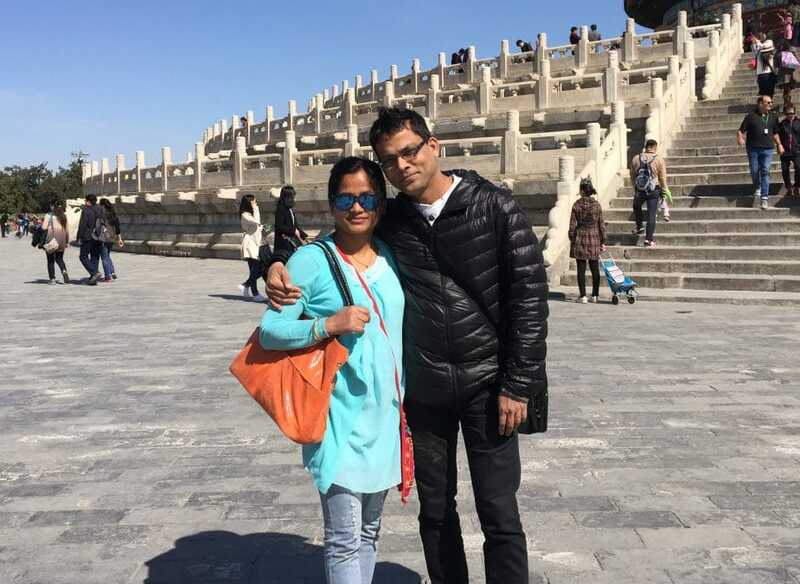 Bijay: I had to move to Baoding for work after a year of living in Shanghai, I have been here for the last 2 years working for an Automobile Company as a Senior Technical Expert. I manage to visit my family twice a month. Life without family is quite boring; I keep myself busy with lots of activities, focusing on my health, giving a lot of time to fitness and diet. I have learned many things in the last two years be it cooking, learning Chinese and managing my own household. Cooking and inviting friends for lunch or dinner has been great fun these days. I do the same thing when I visit my family in Shanghai. I loved to cook pastas and pizzas for my children and they love it. As a family we love watching our daughter play tennis- she is a promising tennis player and it’s always a treat to watch her practice or watch her playing matches. Geeta: The transition from a professional to homemaker was difficult but I am quite used to now after moving to Shanghai. I get busy with the household and managing the kids alone. 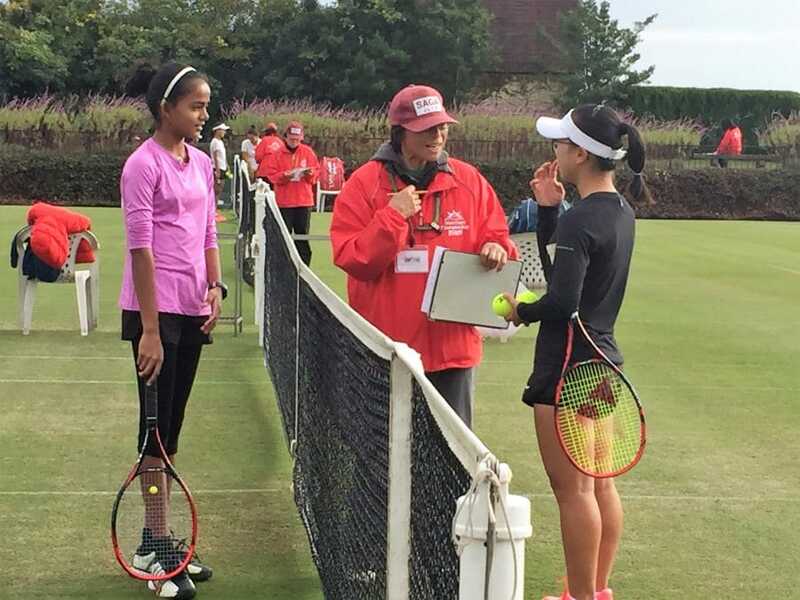 I always run out of time; a major chunk of time I spend is managing my daughter’s training schedule, tournament schedule and also her travel schedule to different countries. The time flies, I love doing this for her. The tournaments are great learning for any players and it takes a lot to understand that emotional turmoil a player goes through after every win or a loss and of course our responsibility as parents to efficiently deal with it. Diksha: Tennis is my passion; I started playing this sport when I was eight. Currently, I hold an Asia ranking 130th in the U14 category. It’s been a difficult journey so far, I wish to win a tournament this year but looks difficult. 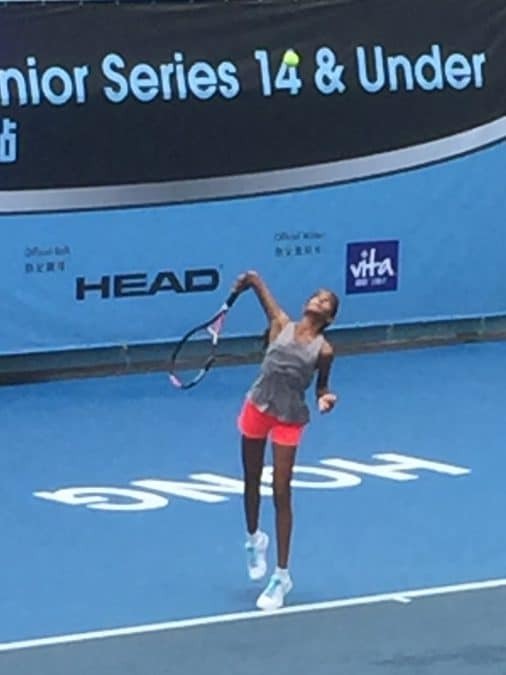 All the pro players who have started international tennis are mostly playing full time or doing homeschooling to fulfill their professional dream. My time dedicated to tennis is quite meager as compared to them and pushes me out from pre-quarters or quarters in an international tournament. But I am quite dedicated to my education along with tennis until I finish my high school. I am hopeful to fulfill my dream one day! I love singing too and when I get too tired and upset music comes to my rescue. Shrey: I like to play a lot of soccer, I love to learn from visuals so I use a lot of educational apps to learn different things. I read a lot about dinosaurs and can talk a lot about them. I love to play with my Chinese friends after I am back from school. I enjoy the time when my father visits us, we talk a lot and do a lot of shopping and eating. What is your favorite subject at WISS, and why? Diksha: I am open to learning every subject, it mostly depends on how much I enjoy the subject with the teacher and that develops my liking about the subject. For me my learning happens only at school, I hardly get time to do anything extra other than managing my homework. Shrey: My favorite subjects are math and science, I enjoy doing a lot of math games. Science looks always interesting to me, I still love and remember the day I visited the secondary science lab with my teachers. Initially, it was very difficult and frustrating; we need to do a lot of preparation to live in a place like Shanghai. If you have done the homework well it’s then quite easy to adopt the huge language barrier and cultural differences at ease. Once you overcome that it can be great living in Shanghai. We expose ourselves to limited things here, Shanghai has given us all that we needed and quite better than we expected. Living in Shanghai has changed our perception to life in many ways. Most importantly, our approach to education and adoption to unconventional changes. We love the way our children are growing up and hope these changes help them grow into better human beings.